People who enjoy working with guns can make a career out of something they love through distance learning. Many online schools provide gunsmithing as a program, and the majority of people can receive their diplomas in less than six months. Anyone looking to become a gunsmith online should check out these top 5 online gunsmith schools. Penn Foster has offered a gunsmith career diploma for over 20 years, and the program has been accredited by the Accrediting Commission of the Distance Education and Training Council, the Commission on Secondary of the Middle States Association of Colleges, and the International Association for Continuing Education and Training. This course can be completed in as little as three months, and it can also be done at the student’s own pace. How to assemble and disassemble firearms. How to build, design and make a variety of firearms. The gunsmithing program has six units, each concentrating on one particular aspect in the program. For example, shotguns, handguns and rifles are three of six units taught to students. 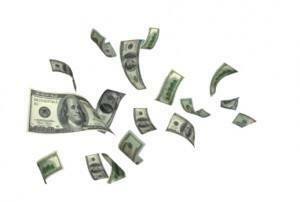 The entire program costs less than $700, so it is very affordable. Ashworth College also offers a diploma in gunsmithing that teaches students about shotguns and rifles. The 19 lessons offered will also teach students about how to clean, assemble and disassemble their weapons. They are also taught how to inspect and maintain firearms. A gunsmith must use many tools when working with guns, and this program teaches students how to work with tools and other supplies related to their trade. Safety is a major concern when working with guns, and this is one of the most important things that Ashworth teaches its students. Textbooks are provided and exams are taken online. This program can be completed in six months, but it is a self-paced program, meaning that students can work at their own time to complete their studies. Ashworth College offers its students many online resources, study guides, academic support and tutoring. Ashworth College provides discounts on tuition, depending on how the student pays, but the whole program costs less than $800. They are accredited by the Accrediting Commission of the Distance Education and Training Council. 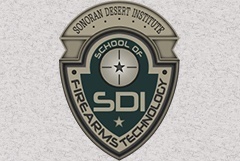 Sonoran Desert Institute offers an Associate of Science in Firearms Technology Degree and Gunsmithing and Advanced Gunsmithing Certificates. This online school is accredited by The Accrediting Commission of the Distance Education and Training Council and licensed and regulated by the Arizona State Board for Private Postsecondary Education. The gunsmithing program at Sonoran Desert Institute is the oldest at home program in the United States. The Associate degree program takes four semesters to complete while the certificates offered can be completed in less time. Semesters are 16 weeks long, and enrollment is based on first come first serve. Students can enroll in the certificate programs first and then continue on to earn their Associate degree if they wish. In addition to textbooks, study guides and other course materials, a cleaning kit and a wide variety of tools are shipped to students to help them get hands-on experience while studying. The majority of these tools will be used in labs to help students learn more about how to use, clean, repair and maintain their weaponry. This online schooling is considerably more pricey however you have the opportunity to pursue a degree. The Gunsmithing Certificate costs a little over $2,500, the Advanced Gunsmithing Certificate costs about $6,500, while the Associate degree costs around $11,000. AGI’s name is up there with the top home gunsmithing schools in the country. The institute provides a wide array of courses for both hobbyists and career gunsmiths. Those who are looking for a career in the gunsmithing industry can acquire a professional gunsmithing certification. As opposed to many other trade schools, AGI’s gunsmithing certification can be achieved in as few as three months. With more than 108 hours of instruction, the student can learn about pistols, revolvers, rifles and shotguns. The student is also taught about the function, design and repair of these weapons. Each gunsmith course taught at AGI is presented by experienced gunsmiths with well-established reputations in the areas of their specialty. Thanks to the video format in which the courses are presented, a great deal of specific detail can be relayed to the student, and the techniques of gunsmithing effortlessly learned. One of the exclusive features of AGI’s online training program is that the student can select their own curriculum. They can choose to do the entire gunsmith certification program, or pursue specific courses. An old (founded in 1946) and distinguished institute providing gunsmithing education, Modern Gun School boasts the unique achievement of having trained many hundreds of professional gunsmiths. Their time tested gunsmithing courses give clear instruction on the design, function, repair and maintenance of guns. Their practical bench projects demonstrate techniques vital for working in the modern firearms industry. Two courses are offered at this institute which let the student learn gun repair from the convenience of their home. Students will be taught how to adjust, diagnose, repair, maintain and troubleshoot a wide range of weapons. Advanced Master Gunsmithing Course: This course is great for those who are interested in becoming career gunsmiths / running their own gunsmithing establishment. Comprising of 65 lessons, as well as 7 projects, this course provides a thorough insight into the whole firearm industry – going from manufacture to standard gun owner operations. Basic Gun Repair Course: This course is better suited to a hobbyist or someone who wants to be a supplementary gunsmith. It is a shortened version of the Advanced Gunsmithing course, and offers 31 simple lessons as well as 4 practical projects. You’ll be taught techniques that can be applied to personal firearms, or you can extend your hobby to a side business, at a pace which suits you. Both these courses are offered at a very affordable rate, which can be obtained by contacting the school directly. How Do Online Gunsmithing Schools Work? You may be wondering, given that gunsmithing is such a practical craft, how it can be taught online. It is the digital age, and the internet is the medium of distribution for a lot of information. Gunsmithing schools that have made the jump to digital distribution use e-documents such as PDFs, as well as video presentations and demonstrations, to convey technical concepts to their students. They usually supplement these lectures with textbooks and other material provided at the start of the course, and may also provide these video lectures on a DVD, so you can follow through at your own pace. That being said, you will have no trouble developing your skills as a gunsmith through online training programs if you’ve got the tools and the dedication to try out what is being taught in the gunsmithing videos! One of the best things about pursuing a gunsmithing degree or certificate online is that the gunsmithing courses can be completed at home at the student’s own pace. Many people pursuing online programs are working adults, so they do not have much time to leave their jobs and families to go to a traditional college. That is why distance learning caters to them because it helps them to get educated in something they love without having to quit work or ignore their families. They can study anytime they are free, and that can be in the early hours of the morning or late at night. Another positive aspect of learning gunsmithing at home is tuition. Distance learning tuition is less expensive than traditional college. Many online colleges offer discounts or payment plans, and many students who study online also graduate with no debt. Not only do students save tuition money, but they save transportation costs and time. Students need gas money and time on the street to travel to school, but if a student studies at home, they are saving gas money and time on the road. As with anything a person pursues, there are some disadvantages to attending gunsmithing classes online. The largest disadvantage is that students may not get the hands-on experience they need for this trade. Gunsmithing is a technical craft that requires a lot of skill, observing and handling. Since some of these courses are completed through videos, students may not able to ask their teachers questions or get help if there is something that they are having trouble understanding. The student-teacher interaction isn’t as instant as compared to the live classroom. If you want to develop your skills with machining and other hands on tasks, then an online gunsmithing school may not be the way to go. Check out list of the top brick and mortar gunsmithing schools in the United States. Another disadvantage is that people may become lazy and ignore their studies since these programs are self-paced. Traditional schools have deadlines, so students are obliged to meet them, but when a student has the option to study or not, sometimes students get lazy and put it off or may just start the program only to never finish it.